One of the most readily identifiable icons in the games industry, Lara Croft has been enthralling PlayStation gamers since 1996 with her Indiana Jones style escapades, quick wit and fearsome gunplay (though, let’s not talk about the those two movies eh?). With the highly anticipated Shadow of the Tomb Raider finally arriving on PlayStation 4, it seems only proper that we celebrate the twentieth anniversary of this beloved franchise by charting its history through the four generations of PlayStation home console hardware. After all, it’s what Lara would want. Actually released months earlier on the Sega Saturn (the curs!) before it would make its PlayStation debut on PSOne in 1996, this is where it all started. 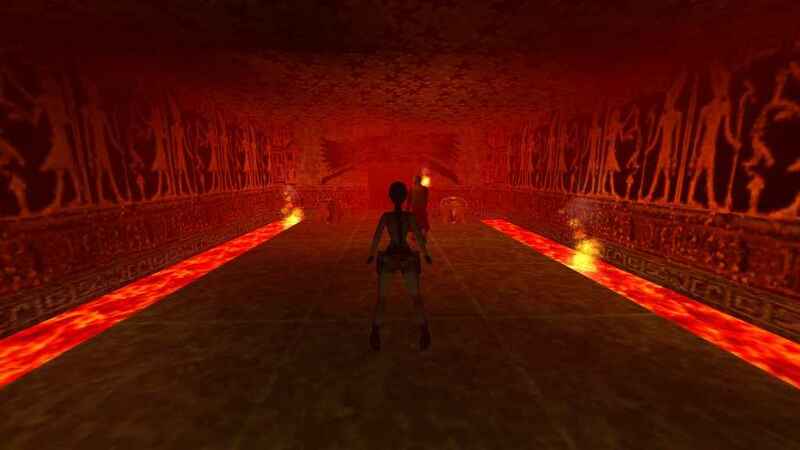 Developed by British coding outfit Core Design, few people had any sort of inkling that Tomb Raider would end up having the seismic impact on the industry that it did. With its fully realised and openly explorable 3D worlds that placed as much a premium on precision platforming as puzzle solving and foe-blasting, Tomb Raider was a true revelation for the time and allowed PlayStation owners to stick two fingers up at their smug, Nintendo 64 owning counterparts and their ceaseless bleating about Super Mario 64. 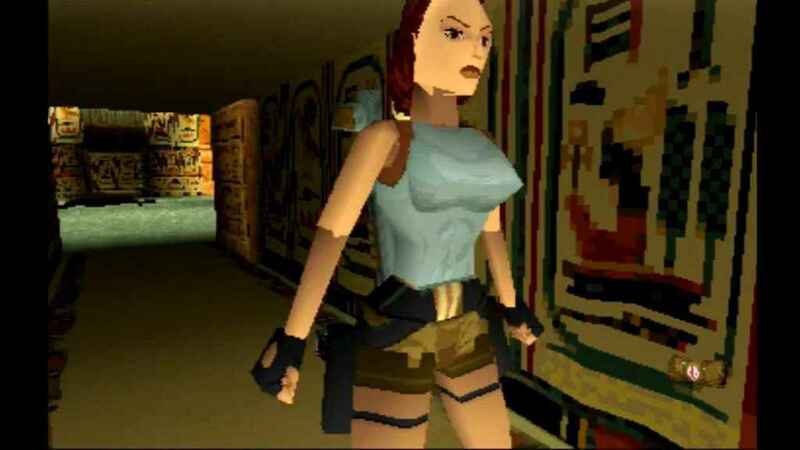 Wobbly textures and all, Tomb Raider on PSOne was nonetheless a revelation back in 1996. There were just so many unforgettable moments too; from doing handstands in the immaculately designed St. Francis Folly, to escaping a charging T-Rex in the Lost World level, Tomb Raider stuck long in the memory long after the credits had rolled. 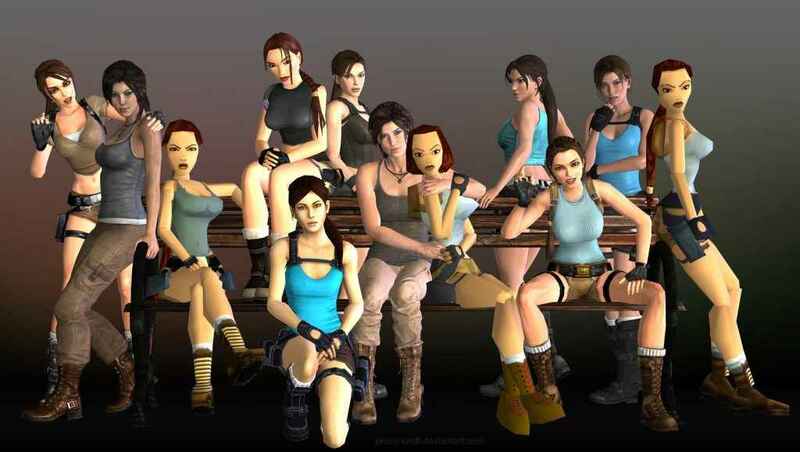 More than that, Tomb Raider also introduced the world to Lara Croft, a quick-witted, hugely capable protagonist who became the first female gaming icon that would leave her mark on the industry for years to come. Hot on the heels of the groundbreaking original, Tomb Raider II released just one year later on Sony’s PSOne home console. Whisking players off to such grand locations as Venice and the Great Wall of China, Tomb Raider II still had players leaping about the place, solving puzzles and collecting relics but this time upped the stakes with the gun combat side of things, introducing a speargun, grenade launcher and an assault rifle. 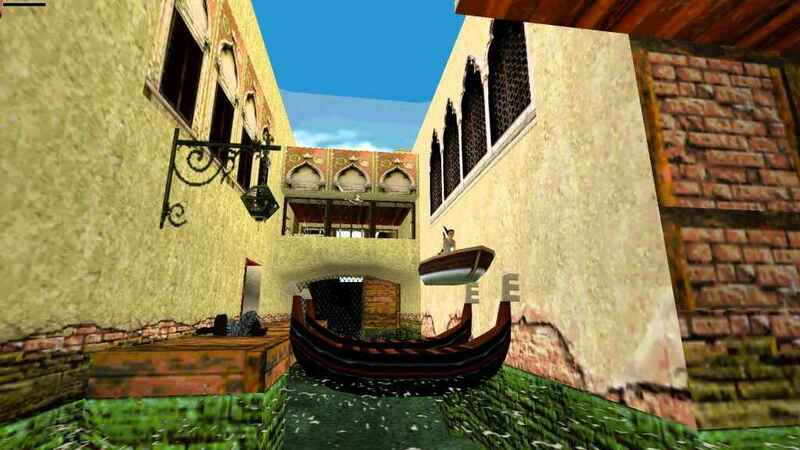 Tomb Raider II took the series to some notably sunny climes – such as Venice, for example. The shift to a larger arsenal also brought with it a change in enemies too, since while you still tangled with various wildlife, Tomb Raider II also had you going up against a range of gun-toting goons in a nice change of pace. Though unable to capture lightning in the bottle in the same way that the first Tomb Raider game did, Tomb Raider II nonetheless stood as an entertaining, if somewhat safe sequel that fans were well served by. Oh, and something else that was new in Tomb Raider II was if you bumped into Lara’s eternally-suffering butler in the mansion training map, he’d groan, or, if you were really lucky, bust out a fart. So that was nice. By the time Tomb Raider III came around in 1998, it’s probably fair to say that PlayStation owners were becoming a little tired of the same old shtick. Though the variety of new South Pacific focused locales to adventure about in was greatly appreciated, the innovations seen elsewhere were thin on the ground to say the least. 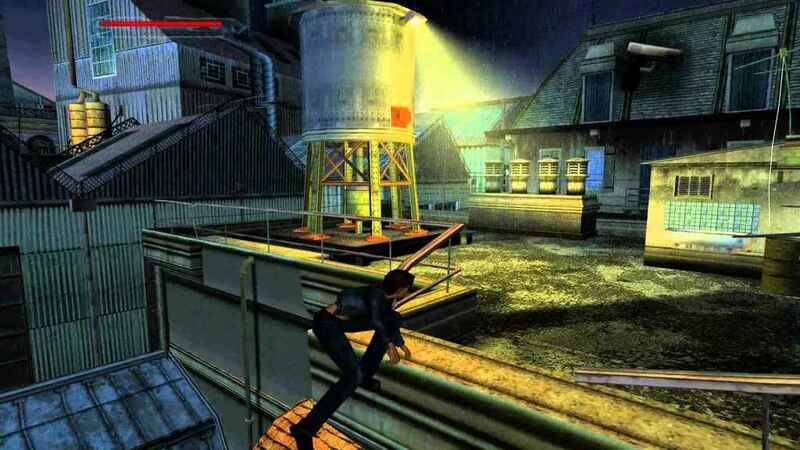 Of the new elements, a crawling move was perhaps the most significant as it allowed level designers to fashion worlds with many more nooks and crannies for Lara to sneak into, while the introduction of a stamina-sapping sprint move on the other hand, simply felt too much like an afterthought. Tomb Raider III though varied in location, simply didn’t do enough to improve upon the previous games in the series. One big problem though for many, was that in Tomb Raider III you actually spent far less time in actual tombs than in the previous two games in the series. Indeed, by largely substituting the dusty and ornate tombs of antiquity for more modern and urban themed environments, Tomb Raider III lacked both the sense of place and adventure that the first two games had in spades. By no means was Tomb Raider III a bad game though; it was simply an example of how as the years went by, Tomb Raider was slipping further and further away from the heady caliber that so well defined the 1996 original. A pity. Taking onboard the apathy that some players greeted Tomb Raider III with, those busy bods over at Core Design decided to freshen things up with Tomb Raider: The Last Revelation. With a new animation system allowing Lara to do more moves such as swinging off ropes and shimmy around corners (it was a big thing back then! ), the ability to save anywhere and being allowed to tackle levels in a non-linear order, Tomb Raider: The Last Revelation certainly did more new things than its immediate prequel did. Tomb Raider The Last Revelation wasted no time putting the ‘Tomb’ back in Tomb Raider. 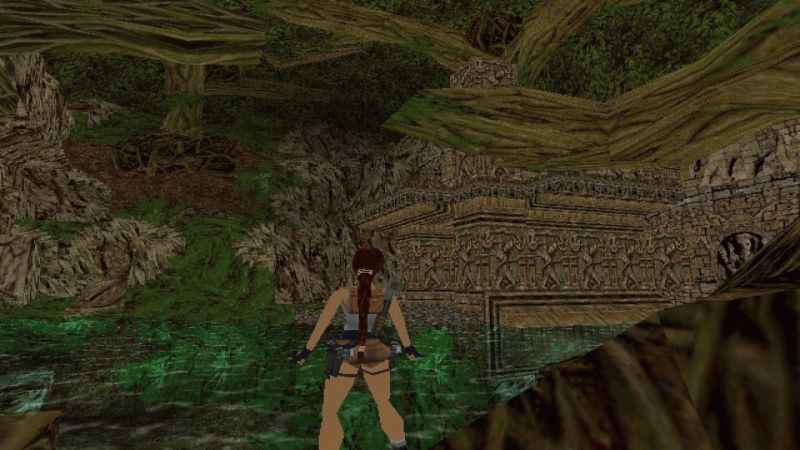 In terms of locations, Tomb Raider: The Last Revelation further elevated itself above Tomb Raider III, as it took players out of the dingy contemporary settings of its predecessor and transported them to a wide variety of tombs set across Egypt, Ankor Wat and many more places besides. Despite such advancements however, the overwhelming feeling of familiarity was undeniable at this point, since Core Design seemed more and more like a developer who was comfortable for chucking out new levels for a game they made in 1996, rather than creating a brand new one for 1999. A direct continuation to The Last Revelation, Tomb Raider: Chronicles not only failed to build upon the new features introduced in that game, but it actually regressed in a number of ways, with one sticking point being that, again, many of the levels in the game took place in modern settings rather than, y’know, tombs. Completely missing the point, the lions share of levels in Tomb Raider Chronicles weren’t actually set in tombs at all. Nice one. For a series whose founding touchstones were innovation and boldness, Chronicles capped off Tomb Raider’s stint on PSOne in the most ignoble of ways. Sloppy and by-the-numbers in the most frustrating way, Tomb Raider Chronicles was proof that Core Design had no idea where to take Lara Croft and her tomb raiding shenanigans next. Sadly, this bespoke lack of direction and focus was something that would unfortunately bleed over onto Core Design’s next (and final) Tomb Raider title, too. After a three year break and a shift to a whole new generation of PlayStation hardware, Tomb Raider The Angel of Darkness finally arrived on PS2 in the summer of 2003 with a great deal of marketing fanfare and player anticipation behind it. 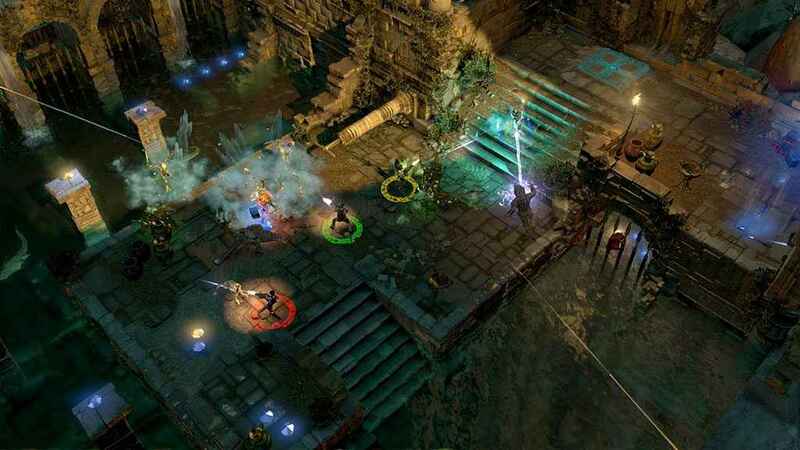 With fresh hardware on tap, Core Design used Angel of Darkness to experiment with a number of different gameplay elements such as an RPG style progression system (something that would be seen again ten years later! ), new stealth mechanics and a dialogue system that would affect how narrative events played out later in the game. Angel of Darkness was supposed to signal a new direction for Lara croft – sadly development troubles and a lack of direction resulted in a distinctly lackluster affair. Lara too, as the title suggests, found herself pushed into darker and more edgy material as The Angel of Darkness takes place immediately after the events of The Last Revelation and Chronicles whereupon Lara was previously presumed dead. On paper then, Tomb Raider: The Angel of Darkness looks like it had all the pieces of the puzzle in place to set things up for a triumphant series debut on PS2; sadly however, it all just didn’t come together properly. 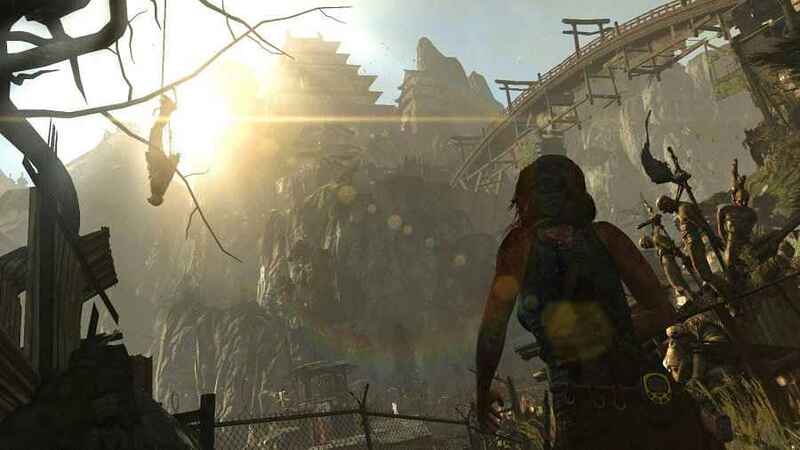 Summarily undone by poor AI, an unreliable control system, unstable frame rate and the general feeling that Angel of Darkness simply couldn’t hang with other peers in the genre, the title marked the end of developer Core Design’s stewardship of the Tomb Raider franchise, with the veteran codehouse closing down just three years later. A sad end to a great British developer and an even poorer introduction of the franchise to PS2. A reboot in every sense of the word, American developer Crystal Dynamics (Legacy of Kain) were given the reins by publisher Eidos Interactive to reinvigorate the Tomb Raider franchise, and that’s exactly what they did. One of the highest critically rated entries in the entire series, and the most commercially successful effort since Tomb Raider: The Last Revelation, Tomb Raider Legend boldly re-imagined everything about the franchise from the platforming to the gunplay with substantial aplomb. A new developer, brand new game engine and entirely new setting allowed Tomb Raider Legend to put the franchise back on the right path. Even Lara herself was given a makeover; now voiced British actress Keeley Hawes (Life on Mars, Bodyguard), Ms. Croft not only looked different but she was also more relatable too, shedding the overly aloof aura that she had in previous games and replacing it with a more wise-cracking and personable take on the character. In short, Tomb Raider Legend was the real deal (it was especially good on PSP too!) and as such it was great to have Lara Croft back on top form. 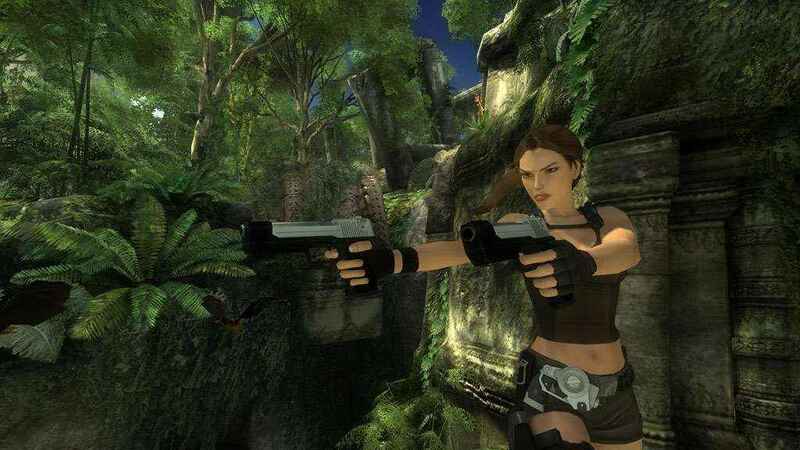 Using an enhanced version of the game engine that was previously employed in Tomb Raider Legend, 2007’s Tomb Raider Anniversary, the second Tomb Raider title from Crystal Dynamics was one that looked to the series past, rather than attempting to define its future. A re-imagining of Lara Croft’s inaugural Tomb Raider adventure from eleven years earlier, Tomb Raider Anniversary took all the iconic moments of the 1996 classic and brought them up to date for a contemporary audience. Using the new engine from Tomb Raider Legend, Tomb Raider Anniversary re-imagined the very first Tomb Raider game for contemporary audiences. Dodgy camera angles and switch puzzles aside, Anniversary nonetheless gave a good account of itself. Essentially, it provided long-time Tomb Raider fans who matured alongside the series with a great take on the original game, whilst also allowing Crystal Dynamics some creative breathing room to think of something more bespoke for their third crack at the franchise. Sadly, though received pretty well by critics, Tomb Raider Anniversary ended up being the least commercially successful of any game in the series, only shifting just over 1.4 million copies. The cap to Crystal Dynamics’ first trilogy, Tomb Raider Underworld was arguably the darkest entry in the franchise up to this point. Kicking things off by forcing Lara to escape from a burning Croft mansion, the narrative would hop chronologically between events that occurred just after Tomb Raider Legend and the present day before finally resolving the mystery behind her mother in suitably emotional and dramatic fashion. Tomb Raider Underworld was the last entry in the previous reboot trilogy. In terms of the game itself, Tomb Raider Underworld employed sophisticated motion-capture techniques to make Lara’s animations seem more life-like than ever before, while the gunplay had been refreshed with a new mechanic that would allow Lara to aim at two different targets at once. Annoyingly, the PS3 version of Tomb Raider Underworld never received the DLC which released for the Xbox 360 version of the game because Microsoft had apparently stumped up the necessary scratch to make it exclusive to their console – lovely. Oh, and the PS2 version of Tomb Raider Underworld, riddled with bugs, poor visuals and overly simplistic gameplay, was a was total pile of cack at the time; so yeah, avoid that version like the plague if you ever see it. It’s fair to say that when Lara Croft resurfaced after a two-year hiatus, she did so in a form that many didn’t recognise. Trading in Tomb Raider’s typical over-the-shoulder perspective for an isometric, arcade style viewpoint, Lara Croft and the Guardian of Light made sure that fans knew that they weren’t looking at the next Tomb Raider game, but instead at something very different. Lara Croft and the Guardian of Light was a spin-off that re-imagined the adventures of Lara Croft as a Diablo style dungeon crawler with extra puzzles. Liberally borrowing from the likes of Diablo, twin-stick shooters such as Smash TV and then infusing that marriage with the platforming ‘n’ guns trappings that Tomb Raider fans had come to love, Lara Croft and the Guardian of Light proved to be grand detour for the series. In addition to packing in a detailed progression system, Lara Croft and the Guardian of Light also boasted multiplayer – a first for the series, where two players take control of Lara and her Mayan warrior buddy Totec using their unique abilities to progress through the adventure. A great little game in its own right, Lara Croft and the Guardian of Light provided yet further proof that Crystal Dynamics were not only far from being creatively bankrupt, but that they were also the right choice for custodians of one of gaming’s most revered franchises. It would be over three years before PlayStation fans got to see the indomitable Ms. Croft again, but when we did see her, she starred in the second reboot of the Tomb Raider franchise and one that shook things up even more deeply than when Crystal Dynamics took things over back in 2006. A decidedly more gritty adventure, tonally speaking, Tomb Raider felt far more akin to a horror movie such as The Descent, simply because it depicted a young Lara in a whole new and much more grim light. No longer was she the headstrong, seemingly invincible countess that previous games had made her out to be; instead, she was vulnerable, inexperienced and in seemingly permanent violent peril throughout, all of which added up to what was a hugely fresh revision of her established character. The first of the ‘new’ Tomb Raider reboot trilogy, Tomb Raider gave the series a shot in the arm it desperately needed with all new systems, gameplay and crucially, a much more rugged and endurable heroine. In the game proper, Crystal Dynamics basically built the whole experience from the ground up; adding in some brand new hunting and survival mechanics, an RPG style progression system that granted extra abilities, a proper stealth-based combat system and finally, a competitive multiplayer mode that tapped into the progress made in the single-player campaign. Releasing a few months after the PS3 version of the game, Tomb Raider arrived on the PS4 as Tomb Raider: Definitive Edition; the consummate version of the game that not only included a massive visual upgrade over its PS3 counterpart, but all of the released DLC chucked into the bargain as well. Tomb Raider felt in many ways like the sum of everything that the series had always wanted to achieve, and other developers who find themselves looking for an example of how a reboot should be done need not look further than 2013’s Tomb Raider. Continuing the tradition of spinning Lara Croft off into an isometric, Diablo style effort with added platforming elements, Lara Croft and The Tomb of Osiris continued the fine work that Guardian of Light had started on PS3 some four years earlier. 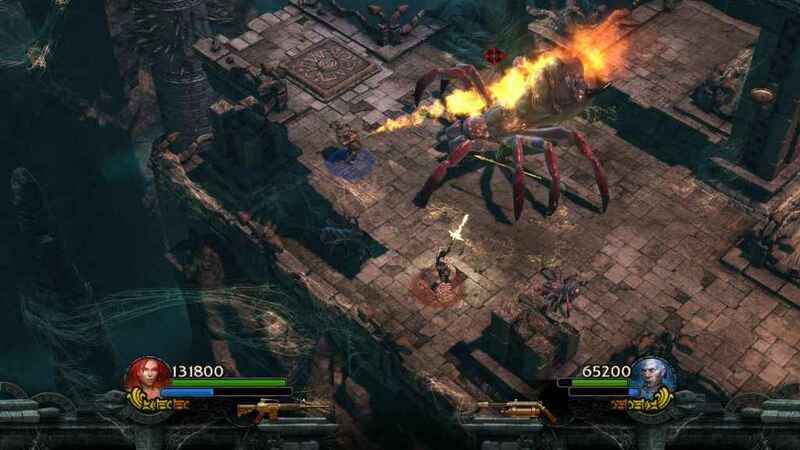 Building off of the foundations of the previous spin-off, Lara Croft and the Temple of Osiris introduced towering bosses, more challenging puzzles and most crucially, four player co-op. Taking players to the wind-swept deserts and pyramid tombs of Ancient Egypt, Lara Croft and the Tomb of Osiris expanded the co-operative play of 2010’s Lara Croft and the Guardian of Light by allowing up to four players to blast through its story campaign. Boasting a fine mix of puzzles, gunplay and adventure elements, Lara Croft and the Tomb of Osiris, though not spectacular, nonetheless helped to soothe the wait until the wily British heroine would make her proper return in Rise of the Tomb Raider two years later on PS4. Originally launched on the Xbox One back in holiday 2015, Rise of the Tomb Raider hit PS4 with an assortment of extra bells and whistles. Marking the franchise’s 20th anniversary—blimey, we feel old—Lara’s latest adventure built on the successful formula established in the critically acclaimed 2013 reboot. 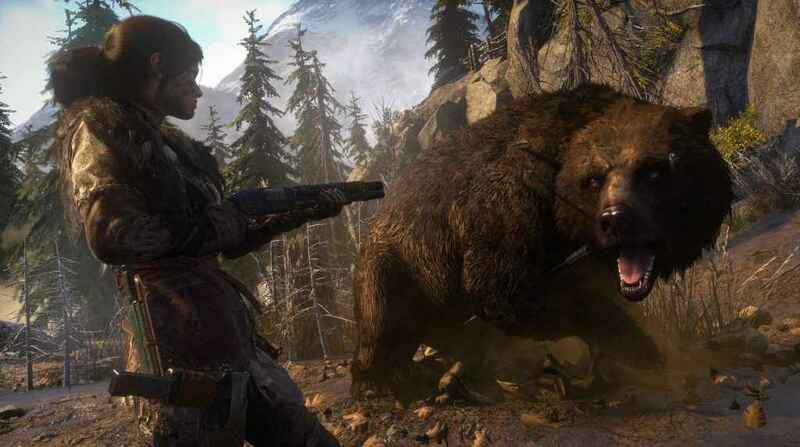 Set a few years after the origins story, Rise of the Tomb Raider sees the dexterous trinket-pincher exploring the Siberian wastelands in search of a mythical city known as Kitezh, while pursed by a band of dodgy mercenary types known as Trinity. Rise of the Tomb Raider was a revelation in many ways – a gorgeous entry in the series that nailed a perfect balance between the new open-world and traditional tomb raiding mechanics. Once again, Lara has to fend for herself in the harsh conditions by cobbling together weapon parts and resources to craft makeshift tools and healing items. While not radically different to its predecessor when you get down to the core gameplay, Rise of the Tomb Raider kicks things up a gear with its pulse-pounding set pieces and sumptuous visuals, which complement the beautifully crafted locations and dusty challenge tombs. Lara’s also learned a few new tricks since her last adventure, and the meaty combat remains as satisfying as ever as you wield bows, pistols, shotguns, rifles, and more against blood-thirsty wildlife and mean-spirited goons. The best part? The 20 Year Celebration edition is packed to the rafters with extra content, ranging from DLC, extra costumes, plus two brand new chapters in the shape of the story-focused Blood Ties and the zombie-blasting mini-game, Lara’s Nightmare. Throw in a ton of collectibles within the main campaign, a neat co-op Endurance mode, and you have a triumphant sequel that simply cannot be missed. The seemingly final entry in the new Tomb Raider reboot trilogy, Shadow of the Tomb Raider finds Lara Croft in a dark place indeed. Left frantic by her failed efforts to destroy Trinity once and for all, she embarks on a global hunt to stop the Illuminati organisation from bringing about the apocalypse, all the while attempting to preserve her own humanity in the process. Boasting some of the best visuals ever seen in a Tomb Raider game, alongside newly reinstated underwater sequences, some absolutely cracking puzzles and not to mention the best challenge tombs in any game of the series, Shadow of the Tomb Raider is a more than effective closer to this current trilogy. Going forward however, the series will have to make another evolutionary leap if it wishes to stay relevant – much as it has done before. And that’s our history of Tomb Raider on PlayStation! Are there any favorites that you have, or any entries in the series that you especially dislike? Let us know in the comments below!